Funny Teeth! Fun games for kids is essentially a game about, as you may have guessed from the title, dental hygiene. The worthy message is wrapped up in a number of amusing games to stimulate logic and reasoning. Downloading the application is very straightforward and takes up a fairly bulky 65MB of space on the precious drive. When loaded the child is confronted with the standard cheery cacophony of triangles, xylophone and strings etc. The entry page is a reflection of the music with a bright red/pink mouth as a backdrop and six teeth in a variety of attire ranging from a cowboy hat to a sunflower; all very colourful and jolly. Clicking on an icon that appears to be a tooth dressed in a broccoli the child is drawn into a shape and colour recognition game where the shape is linked to the tooth dressed in a particular item, for example the tooth wearing an orange, is hungrily waiting to be fed the orange square. The orange tooth squeals in delight as you can hear it chomp through the square. This task gets progressively more difficult with a further selection of teeth, colours and shapes ranging from the simple square to an arrow and heart etc. At the end of the task the teeth and shapes disappear and a clapping and cheering audience can be heard with hearts popping up everywhere. The screen then moves on to the next of the six main items on the menu or the child can exit that via the home button and choose another task. The next task is to clean the teeth which are now covered in horrible bacteria and various other detritus. By squeezing the toothpaste on the toothbrush the child can brush away to make the teeth sparklingly clean with the occasional flicking off the screen of some odious bugs. The next item is rather interesting, the child has a choice of food to eat which is depicted by a scrolling down of various food items, the chosen item can either be put in the bin or eaten. The sweet items inevitably cause a build up in bacteria as illustrated by the tooth getting grubbier. The green items are seen to regulate the amount of bacteria building up. The next item are teeth on the beach and they need to be dressed in enamel again to protect themselves, essentially this is a jigsaw game with a message. 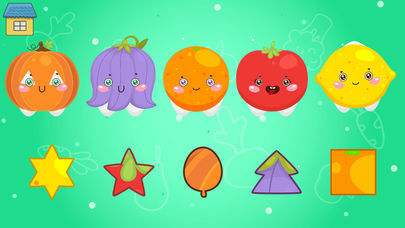 The next game is a dressing game as well, where the child needs to select the correct item of clothing for each tooth. Games move onto a cowboy tooth where the child can shoot at the nasty bacteria that squirt germs at it, then a game for recognising the odd tooth out. The final game is tooth dressing, where the child can choose various different items and have there own personalised tooth avatar. This game has some amusing and educational moments and will entertain and educate at the same time. However, the repetitive nature of the game engine can become monotonous and is liable to put even the most seasoned child gamer off. There are only so many interpretations of teeth and games and this program has them all. A game that will amuse for a limited time scale and will probably not be remembered again unless stumbled across when searching for something else. 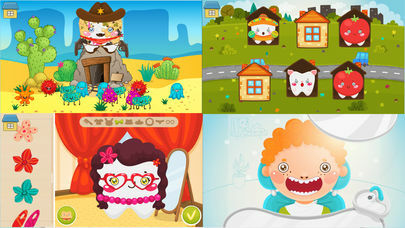 FUNNY TEETH game is a new fun game for kids, it develops INTELLECTUAL abilities and savviness in a fun way. As well it cultivates the interest towards DENTAL CARE and healthy lifestyle. Does your child not like to brush the teeth anymore? This game is for you! 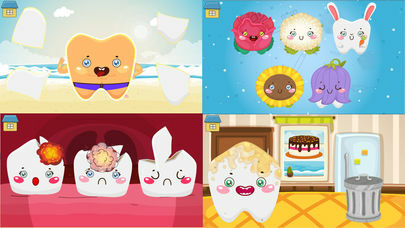 Funny Teeth-Characters are going to entertain your kid and in an interactive way explain the problems that might occur without proper dental care. Also, your child will play interesting games to develop logic, attention, memory and emotional intelligence. Cheerful illustrations and funny sounds are going to turn the learning process in an exciting game! 1. FOOD. Teeth get dressed up. Find a proper meal for each one! 2. BRUSH YOUR TEETH. 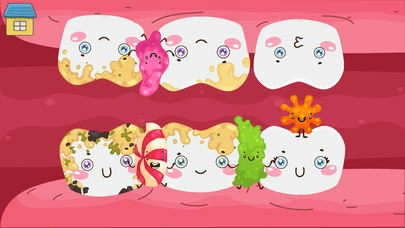 Catch all the bacteria and help brush the teeth! 3. HEALTHY AND UNHEALTHY FOOD. Feed your teeth only with the food that is useful for their growth! 4. BEACH. The teeth lost their clothes – help them with the puzzle! 5. STAGE. Select the missing elements of clothes for the teeth! 6. COWBOY. Fight off all the bacteria! 7. ODDONEOUT. Choose the odd one out! 8. LOOK. Create a unique look for your tooth! 9. PIECES. Stone got into a tooth, help to repair it! 10. HOUSES. Choose the pairs of the houses with the same teeth! 11. CARIES. Funnily treat the tooth! 12. GUM. Help to treat gum inflammation! DENTAL CARE – the teeth are suffering without proper care! TEETH TREATMENT – treat the teeth in a funny way! Dental care is no longer a boring routine! 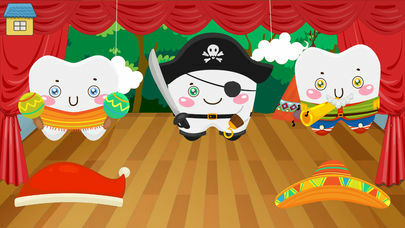 Your child will see that each tooth is a tiny character with his or her own story, who needs help! Let’s have fun together and solve the problems together with FUNNY TEETH!